Gordan Freeman to stay locked away forever? Nope, not gonna happen right now, or ever? A new Half-Life may not come out in your lifetime if a big-time problem persists. "Here is the biggest challenge with bringing out HL3: the big thing now with FPSs is motion capture, or mo-cap...when you make something interactive it gets way less interactive with mo-cap. So that's one of the things they're working on." Lowrie said there are other problems at hand but from what he's gathered from conversations with the Valve team, mo-cap is the biggest hurdle. 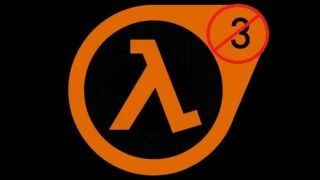 Half-Life 3's tenuous existence has been hotly debated since HL2 in 2007 with no real word from devs, so we'll just have to wait and see if Valve ever caters to our demands for more headcrab bashing. There are plenty more blips to read while you wait for HL3.